More than half of you price your art when it is displayed on your website or blog. The Making A Mark Poll for May looked at where you priced your art - specifically whether you priced your art on your website or blog. Having just surfaced from an enormous art materials order, I'm not tangling with Excel to try and produce a chart as I know how long that takes! I only realised after the poll had started that I hadn't provided for an option which is "various places" since all the other options artists only price their art in one place. the majority - 32% - prefer to price on their website only, in what is a more gallery-like environment. Traditionally, this is where we have been more used to seeing prices. 16% never price their art at all - online or attached to the real thing. 9% price on other online sites only. Pricing on your website or blog: I think we can safely say that's not a result that would have applied ten years ago - or even five years ago. As artists have got more used to using websites and blogs to showcase their art, people have become more relaxed about attaching price information. Notwithstanding this, there's a decided preference for only pricing your art on your own website or blog. I was actually quite surprised that the percentage of people who are not pricing their art at all was as low as 16%. I think I expected there to be more people who were painting for the fun of it without making any attempt to sell. That suggests to me that more and more artists have grown used to seeing artists marketing their art and more and more are joining in. However that's pure speculation on my part - even if it fits the poll results! The studio is obviously a place where people also feel more comfortable about pricing their art. It's very apparent that other online sites and galleries have not played a major part in capturing artists as clients. However I do wonder, since people were only allowed one answer, whether those people using some of the daily painting sites maybe said they priced on their website or blog only. Posted by Making A Mark on Tuesday, May 31, 2011 1 comments Who's linking to this post? 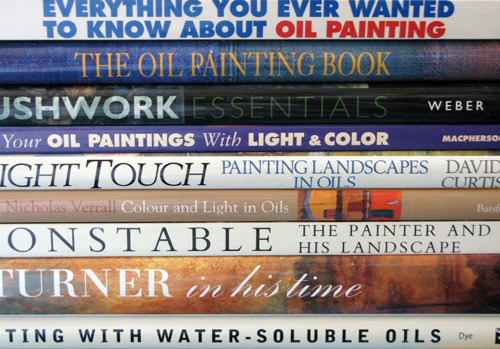 Which are the best books about oil painting? I wonder how many would-be oil painters start, like me, by buying books and trying to get to grips with the basics before actually starting to grapple with the paint? I've been a long time coming to oil painting. It's not for the want of buying books about it! I do like to read around a topic before jumping in! Today over on Four Go Painting in Provence, I will be lisitng the oil painting books I've bought and why - some of which will travel to France. Take a look below if you want to see some of the books I've bought. I'm a huge believer in the wisdom of crowds - when they are speaking from their own personal experience - and I'm very interested in your personal views about which are the best books about oil painting. I did a similar exercise on this blog in relation to water colour painting last year - see Which are the best art books about watercolour painting? It was absolutely fascinating what that threw up as books people raved about (eg Making Colour Sing by Jeanne Dobie - which has just been republished) and ones which people recommended very highly - and yet were ones which could not be found in the shops. I'd also emphasise that this is about the best books which are available and is NOT about which books are in print. Many excellent books are available online as used books and are well worth purchasing for their content. If your recommendation is used, you and your website and/or blog will be accredited with a link which should generate repeat traffic to your site. Which oil painting books do you recommend? If you would like to share your views, please TELL ME and the readers of this blog the answers to the following questions about books which have taught you about painting in oils and/or helped you to improve your knowledge and skills in painting in oils. If it helps you, try giving them marks out of 10 to indicate how good they are and how you rank them in terms of value. Beginners: Which is the best book for somebody starting to learn to paint in oils - and why? Improvers: Which is the best book for somebody looking to improve their painting in oils - and why? Advanced: Which is the best book for a more experienced artist looking to refine their work - and why? Posted by Making A Mark on Monday, May 30, 2011 14 comments Who's linking to this post? 29th May 2011 - Who's made a mark this week? 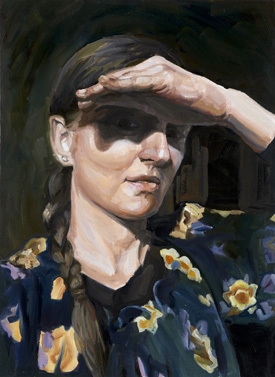 "Self-Portrait - taking in the sun"
Many congratulations to Olha Pryymak (Olha Pryymak) who has had her self-portrait selected for the 2011 Exhibition of the BP Portrait Award - see BP Portrait award competition 2011 – shortlisted! on her blog. selected artists to show out of 2,732 record applicants this year. That's 0.02% of the entry. This painting has also been chosen as one of the ones used to advertise the exhibition - and is currently being displayed on the Visit page of the NPG website. It's also the feature portrait on the front cover of the NPG booklet about exhibitions and events at the National Portrait Gallery over the summer. I was particularly pleased to hear this news as I've been encouraging Olha in her endeavours for some time. Maybe I need to think about doing a bit more of this? In the meantime I'm still waiting to hear about the rest of the selected artists and I'm hoping to post the list before I leave for France next week. I am so jealous of Vivien Blackburn. She opened her door to the postman this week to find she had won a complete set of Lyra Rembrandt coloured Pencils! Read Second Prize - Lyra Polycolor set to find out why. Which is the most popular brand of Color Pencils? This is your chance to have your say. I created the site on Wizzley which is a new information webware site. has published The new edition of “How to draw a tree” I've got the first edition and it comes highly recommended by me. Ruo Li is a Chinese artist whose painting “California Autumn” won the Gold Medal Award for Master Signature Members at the 19th National Juried Exhibition of Oil Painters of America. Charley Parker (Lines and Colors) has reviewed his work - in Ruo Li. I took at his website and it seems to me he's a master of perspective and tone. Some paintings very much reminded me of Singer Sargent. I've had a major focus on plein air painting this week. Naturally that has resulted in a few link being dropped into this post. Adebanji Alade has written about the Highlights of Peter Browns Solo Exhibition, "Bath Between the Snows"
Paint the painter is an invitation from Steve Doherty to send in images of paintings done of plein air painters. I've done a few drawings in my time (see ) but never a painting. Maybe now is the time to start? Next time you are participating in a plein air event, include one of the other plein air artists in your painting and send a photograph of the completed work to PleinAir™ Magazine. Charley Parker highlighted the blog, titled Judsons Plein Air Journal, inclides short profiles of the featured artists, along with sample images and links to their websites. Stapleton Kearns (Stapleton Kearns The demand surge and buy switch phenomenon - this is a Highly RECOMMENDED post. As I commented, it just goes to show there's more to being an artist than painting and there's more to getting people to buy than painting a good painting. It's Workshop Week at the Mall Galleries. Some have already sold out but move fast and you can still find a place. MOCA's 'Art in the Streets' gets the big picture wrong The stylish exhibition mainly showcases the commercial legacy of graffiti, ignoring much of the form's cultural influence and L.A.'s role. Rooms with a View: The Open Window in the 19th Century, on view at the Metropolitan Museum of Art in New York until July 4, 2011. 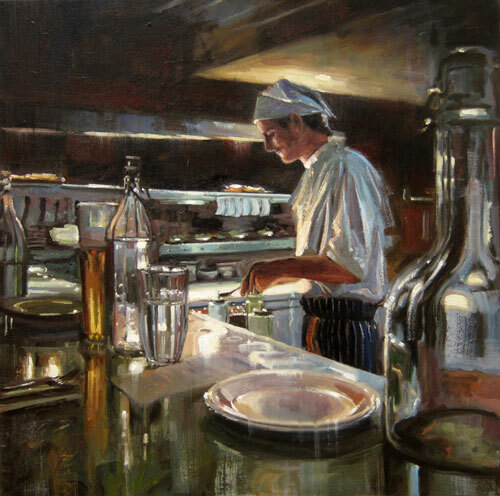 Johnny Morant (Johnny Morant) has consistently exhibited with the New English Art Club and the Royal Institute of Oil Painters. His second solo exhibition with the Tryon Gallery in St James, London can be seen between 7-17th of June. He also ahas an interview in Art Of England Magazine. Johnny is a London based figurative artist concerned with how light and space can be represented in oil. You can see his work on his website. Are Alkyd paints like real oil paints? My Art Materials - or why it's a good idea to take a car! Patchings Art, Craft and Design Festival is on between 9th and 12th Junr (daily 10am to 5pm; Sunday until 4.30pm). This has lots of art suppliers there, although I didn't notice a particularly marked discount on prices when I was there last year. I'm going to be doing a post about oil painting books tomorrow. Get your recommendations lined up please! New Google Analytics - Overview Reports Overview. This will be my last "who's made a mark this week?" until July. I'm off to France on the 9th June and not returning until the 4th July. Next weekend involves taking my cats to their holiday destination (my mother's house and garden) so I have half a chance of actually being able to get packed up and ready to go. However - for those of you interested in such things - you can follow what our painters' house party gets up to in France in Four Go Painting in Provence as we will be blogging while we're there. You can already check out my deliberations about what to take with me as we all start to get seriously geared up (as in lots of art materials) for some very focused creativity! Sarah tells me she's planning five paintings a day! I certainly know from past painting holidays that there is nothing quite like a concentrated period without domestic interruptions to make some progress both in terms of creating art and developing skill and style. Posted by Making A Mark on Sunday, May 29, 2011 4 comments Who's linking to this post? Categories art, art blogs, art news, painting, who's made a mark this week? The challenge I've set myself is to learn how to paint in oils while in Provence in June. 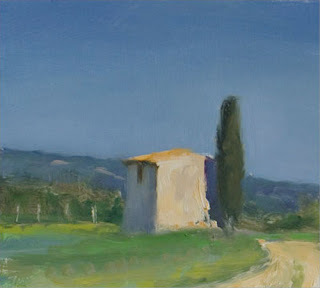 The results will be documented on Four Go Painting in Provence (see Learning how to paint with oils in Provence). I've spent today finding out more about Alkyd Paint. The reason for this is I'd prefer to be using a medium which dries more quickly. This is a summary of what I've found out - and some links to some useful sites. 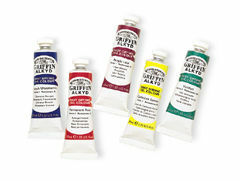 Are Alkyds like real oil paints? The answer is Yes - they just dry faster. Read on to find out more about how these paints behave. Posted by Making A Mark on Saturday, May 28, 2011 9 comments Who's linking to this post? 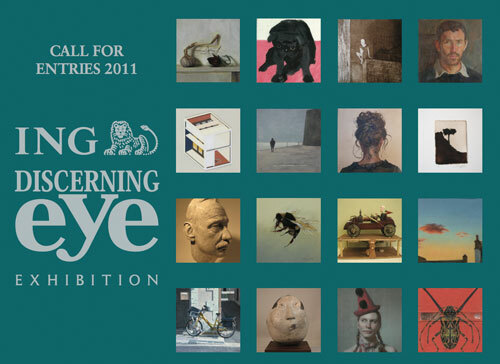 The exhibition is in London on 2 and 3 September 2011. It enables lesser known artists to be hung alongside the work of artists who have an international status. The ING Discerning Eye Exhibition is a show of small works independently selected by six prominent figures from different areas of the art world: two artists, two collectors and two critics. Work is selected from open submission and also from artists invited by the individual selectors. Each section is hung separately to emphasise its own distinctive identity. The impression emerges of six small exhibitions within the whole. either through submitting work via the open submission (see below for a summary). or by being invited by show work by one of the selectors - an opportunity which has been used in very different ways by different selectors in the past. Posted by Making A Mark on Thursday, May 26, 2011 1 comments Who's linking to this post? Every so often I marvel at the way in which the Internet can allow us to see things we would never normally have seen. Or how we can come across very specialised documents - such as the travel diary of Philip Georg Friedrich von Reck in the Department of Manuscripts & Rare Books of the Danish Royal Library. 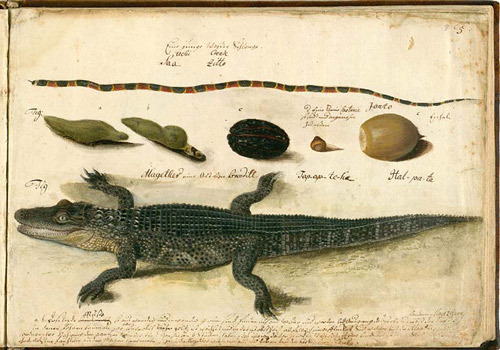 The reason it's interesting is that it documents and records drawings of the state of Georgia in 1736 and what he encountered including plants, animals, people and their habitat. Bottom: Alligator, a sort of crocodile"
This is an extract from the Introduction of VON RECK'S VOYAGE. Drawings and Journal of Philip Georg Friedrich von Reck. Edited by Kristian Hvidt. With the Assistance of Joseph Ewan, George F. Jones and William C. Sturtevant. The Beehive Press, Savannah 1980. The Danish site reproduces all the aquarelles and drawings in von Reck's sketch book (36,5 x 28,8 cm) and all other drawings in the collection. Mind you it makes you think about what people are going to make of our sketchbooks some 300 years from now! Below is more information about natural history and botanical artists who travelled to make observations from first hand experience. Posted by Making A Mark on Wednesday, May 25, 2011 5 comments Who's linking to this post? You are invited to visit a new blog - Four Go Painting in Provence. This is the natural extension to group blogging about art. Four female group bloggers go on holiday to sketch and paint together - and then blog about it! As some of you will recall (see My Postcard from Provence) that's because I'm going to be spending three weeks drawing, sketching and painting in Provence - plus another six days getting there and back. So that's very nearly four weeks in France. I'm in Provence for the whole three weeks - but I'm not alone. The aim of the blog is primarily for us to have a record of our holiday - and to have a place where we can post our daily paintings together - to see how four artists can see the same place through different eyes. However it also struck us that a few people might like to come along for a virtual journey and enjoy the sights and the weather and maybe have a virtual smell of the cooking! So if that's you - keep reading! We're getting very excited about the prospect - and today Sarah kicked off our new blog with its first post - about getting down to the packing - see First Things First. We're not in coastal Provence. We're further up in the Vaucluse in "proper" Provence - away from the tourists. For those of you who don't know already, we've rented "a ramshackle farmhouse in the wilds of Provence" aka the home of popular Postcard from Provence painter Julian Merrow Smith while his wife Ruth Phillips (Meanwhile) plays cello at the Garsington Festival. The house is silent apart from the sound of skops owl, woodpecker, golden orioles nesting in the plane tree and the odd wild boar scuffle. We're based near Crillon le Brave and Bedoin two small Provençal hill villages at the foot of Mont Ventoux. At the moment we're trying to come up with "a big question" for each of us which we can then use as individual themes for the artwork we produce while in Provence. I'm not sure whether it will work - but it's a good place to start. Mine is probably going to be about learning to paint in oils! It seems appropriate. The first time I visited Provence - some 20+ years ago was the first time I got back to my art after something like a 15 year break. So Provence for me is a place of new starts. Fellow members of our Postcard from my Walk group stand a very good chance of being a recipient of postcards from Provence after our visit. We'll be out and about walking near the house in the magical light of early morning and early evening - and seeing how many Postcard from Provence motifs we can spot - such as the Cabanon (see right)! there's the lavender for those of who are there late in June. not forgetting the blue of the sky and lots of the paintwork! Plus there's opportunities to sketch and paint water in a number of different contexts for the Watermarks bloggers. My favourites are the old fountains in every medieval town and village - my favourite is in Gordes. However there's river running through L'Isle la Sorgues which always makes me think it's a bit like a mini Venice. Then there's the highly recommended river in the Vallée du Toulourenc. 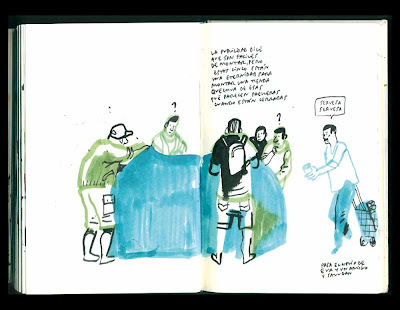 We'll be very happy to take you in our virtual suitcases - but don't forget your sketchbooks! MAKING A MARK: Fancy painting in Provence in May? Posted by Making A Mark on Tuesday, May 24, 2011 4 comments Who's linking to this post? The deadline for entries for The 2011 International Print Awards is 6th June 2011. 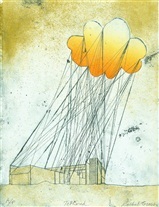 The awards are a pivotal part of the 2nd International Print Biennale being held in Newcastle and Gateshead in September 2011. There are absolutely oodles of "International Biennales", including a number of International Print Biennales around the world. "Biennale" - for those for those who don't like to ask - means is Italian for "every other year" and is frequently used for events which happen every two years. If they happen in the UK they're usually referred to as a Biennial - because we speak english not Italian - but, hey, it sounds good in Italian! I'm not quite sure why but none of the International Print Biennales ever seem to see any need to distinguish which is which in the name of their exhibition or competition. Maybe it's because of where they're held. I guess if it's in Venice you want to make it part of the title - but not if it's somewhere like Tokyo or Varna? Odd. This one can't quite make its mind up. In 2009 it was known as the Northern Print Biennale which seemed pretty much like an OK name to me. Northern Print Biennale was the first major event for international printmaking in the UK since Bradford British International Print Biennale almost 20 years ago. Now, in 2011, it seems to want to drop the "Northern" bit and go with plain old "International" instead - which to my mind actually makes it a bit less distinctive. I think I prefer the tone set by the Bradford one (see quote) but the its got the advantage of a bit of alliteration! When devising the 2009 Print Awards, we purposefully didn’t define ‘print’. The call for entries invited ‘all artists whose work encounters print’ to submit. We received a tremendous response from over 800 artists in 32 countries. The aim is to reward and promote excellence through showcasing the very best in new British and international printmaking through an extensive programme in Newcastle Gateshead of exhibitions, events, activities and an international symposium. With over 95,000 visitors this inaugural Biennale was a huge success and we are delighted to announce the 2nd International Print Biennale. Posted by Making A Mark on Monday, May 23, 2011 0 comments Who's linking to this post? 22nd May 2011 - Who's made a mark this week? 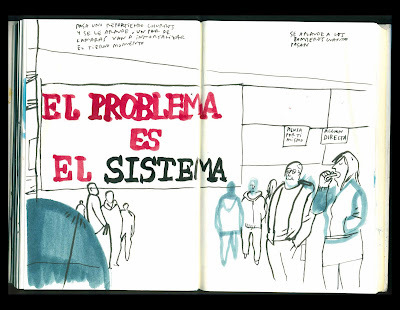 More This week I've been watching one of my favourite sketchers Enrique Flores (4ojos) posting reportage sketches about the amazing peaceful protests by young people in Madrid within the context of today's elections. This, in a way, is the Spanish version of the revolutions which have been sweeping through the Arab world since the beginning of the year. It's always worth recording the fact that those who sketch and blog can also contribute to a much wider understanding of how life is lived in some parts of the world. It's the drawing version of the cameraphone! Hundreds of young Spaniards camped out in the Puerta del Sol all last week as a part of a peaceful protest relating to the government's handling of the economic crisis. With nearly five million people jobless, Spain has the highest unemployment rate in Europe. It's nothing to do with political parties per se - and a lot of those who camped out are still sitting there working out how to get some consensus on what happens next. Just after midnight on 21st May, around about 30,000 Spanish protesters defied a government ban (to assemble or demonstrate on the day before an election - which is today) and filled Madrid's Puerta del Sol.to protest about high unemployment and austerity measures. This is Enrique Flores's blog 4ojos and the posts about this week's camp in the Puerta del Sol. 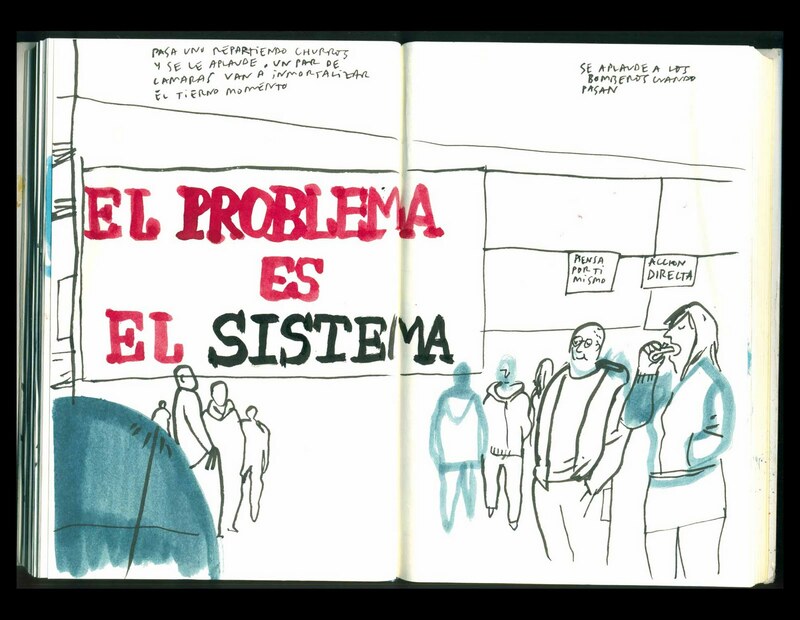 As he said in the email to me the text is all in Spanish but the sketches speak for themselves. What I found interesting was how the sketches changed as the week went on - not only were they more numerous, they also began to focus less on the banners and the people and more on recording the practical aspects of being a demonstrator - like how do you put tent pegs into tarmac (love that one!) and the long queues for the "facilities"! Now that's what I call a civilised society - "facilities" for the protestors - who I understand were also handed brushes to clean up the square after the overnight vigil! Plus lots about what was being said by various participants - which, of course, I can't read but it looks interesting and it's an important contemporaneous record. On Sunday it was returning to the question of how to achieve a more participatory democracy. A minute long video on YouTube of what it was like as midnight changed and the demonstrators commenced an unlawful act - Spain demonstrations continue in defiance of rally ban - which almost seemed like a joyful event. Very sensibly the police decided to do nothing. Enrique's blog has links to a lot more videos from inside the crowds. Today Spain goes to the polls. The current government is not expected to survive. I wonder if Enrique will be sending the incoming government a record of his sketching? I think he should. This time last week I discovered that I'd lost a sketchbook. I hoped it might turn up somewhere but the uneasy feeling remained when I woke up in the morning. This is an essay on Arthur Harry Church (1865-1937) Botanist and Illustrator by botanical artist Dianne Sutherland (Dianne Sutherland - Botanical Artist). Dianne completed this essay as an assignment while studying the Distance Learning Diploma Course offered by the Society of Botanical Artists. You can read her post here about attending the SBA 2011 exhibition and graduation. The Royal Institute of Painters in Watercolour now have a new blog called Artists of the RI. This is their very first post about Naomi Tydeman RI. I'm toying with taking gouache paints to Provence and have been reading Deborarh Secor's blog Deborah Secor - gouache. The whole Ai Weiwei issue begins to look a bit more complicated. This Guardian article Ai Weiwei's company evaded taxes, claim Chinese police indicates the Chinese Police assert that the detained artist's company has evaded 'a huge amount' of taxes and destroyed accounting documents. Now if there's one thing you don't want to do is annoy the taxman! Frieze announces launch of two new fairs Frieze Art Fair has announced that it will launch two brand new fairs for 2012.
Who would ever have thought that Three women artists win Threadneedle Prize in first three years - but they did! The deadline for this year's exhibition closes soon. After being stuck at home unable to walk very far when it opened, last week I was finally able to write up my Review: 'Watercolour' exhibition at Tate Britain. After we'd got through the episode of the lost sketchbook! Egon Schiele. Women - 19 May to 30 June 2011 An exhibition of 40 unseen works by Austrian artist Egon Schiele can now be seen at Richard Nagy's Old Bond Street gallery space. I'm not including links because all though I love his drawing and painting style I'm really not interested in some of his subject matters and this particular exhibition is emphatically not for the prudish! The first ever Angus Open Studios event in Angus in Scotland opens next week and runs from 26th-30th May. Over 70 artists and craftspeople will be opening their studios to the general public, and hoping for lots of visitors over the five days. One of the artists showcasing her paintings will be coloured pencil artist and blogger Lesley Crawford (Lesley Crawford) whose studio will be open each day 10.30-5.30. Bristol Drawing School is a not for profit private arts venue and education facility that aims to encourage and nurture the art of drawing. They've also had a blog since 2007 but aren't very good at posting to it. 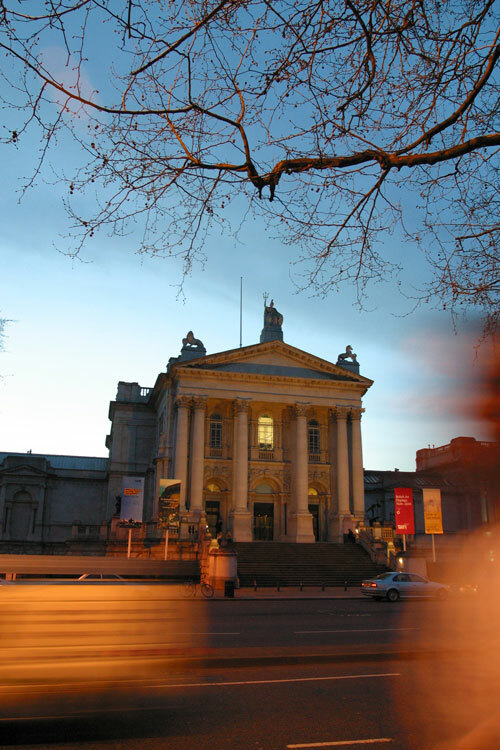 Museums cannot use the sale of art objects for operating expenses. So says the New York Board of Regents which approved reestrictions on Museum Sales; Museums overseen by the Regents are now expressly forbidden to sell artworks to raise money for operating expenses. Even contemporary art becomes history. Is there always a point at which the Young Turks begin to look like the old fogies? Next generation turns its back on Emin and Hirst is a really fascinating article which discusses how the YBA artists are now viewed by younger artists and suggests that the notion of concept art might be dead. Lori McNee (Lori McNee Fine Art and Tips) had a post last week about Creating Art in Small Studios;- I love the stuff hanging off the wall! It includes a bunch of photos from other people showing what their small studios look like. I think we might possibly have a debate about the word "small" in a cultural context - but other than that it is as always fascinating to take a peek! Marion Boddy-Evans (Painting.about.com) has a review of Sennelier Oil Pastels. I keep wondering whether if you wanted to produce "washy" oil paintings whether Zest-It and some decent oil pastels might be all you need. Any thoughts? I bought a jolly nice book about Samuel Palmer at Tate Britain last week - Samuel Palmer, 1805-1881: Vision And Landscape . I've been looking for a good one for some time and this one looks like it's going to get the right balanace between authoritative and accessible. It's published by the British Museum and relates an exhibition which was held in 2005. Lat week the Hargreaves Report was published. Digital Opportunity - A review of Intellectual Property and Growth can be downloaded from the website of the Intellectual Property Office. I'll be reviewing what it means next week. In the meantime if you'd like to see for yourself, click this link and download the report (1.1MB pdf file) and have a read. Posted by Making A Mark on Sunday, May 22, 2011 5 comments Who's linking to this post? Categories art, art blogs, art news, exhibition, sketchbook, who's made a mark this week? Neale Worley is one of the regular exhibitors at the Royal Society of Portrait Painters. This is a time lapse video demonstrating the creation of a portrait painting from start to finish. The portrait in question was displayed in the Annual Exhibition of the Royal Society of Portrait Painters which finished yesterday. Dellar has been a full-time professional painter for more than 15 years. I see lots of his work in the various exhibitions of the national art societies as he works in a variety of mediums. He is an active member of The Royal Institute of Painters in Watercolour, The Pastel Society and The Royal Institute of Oil Painters. Posted by Making A Mark on Saturday, May 21, 2011 2 comments Who's linking to this post? and finally - the review of the Watercolour exhibition! 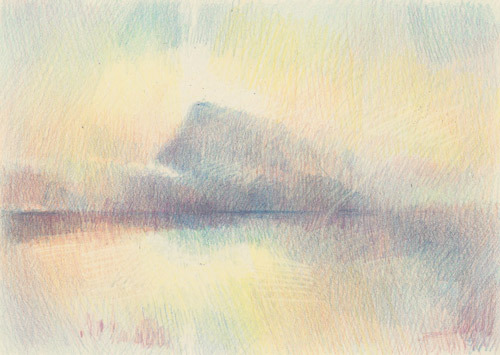 Oddly enough Turner really did finish my sketchbook as one of the last sketches I did on the afternoon before I lost it was one of the Blue Rigi (see above). It's the one which was used by the Tate as the main motif for the exhibition. Watercolour at Tate Britain invites you to challenge your preconceptions of what watercolour is. The most ambitious exhibition about watercolour ever to be staged, with works spanning 800 years, this boundary-breaking survey celebrates the full variety of ways watercolour has been used. From manuscripts, miniatures and maps through to works showing the expressive visual splendour of foreign landscapes, watercolour has always played a part in British Art. I don't know whether this has ever been attempted by any other museum. Maybe not? I think different people will respond to the Watercolour exhibition in different ways. It's obviously a huge topic and I appreciate the effort that has been employed to try and reflect both the history of watercolour painting and the diversity of artists who have used water to make paint. It pleased me and disappointed me. Posted by Making A Mark on Thursday, May 19, 2011 3 comments Who's linking to this post? Not literally you understand. 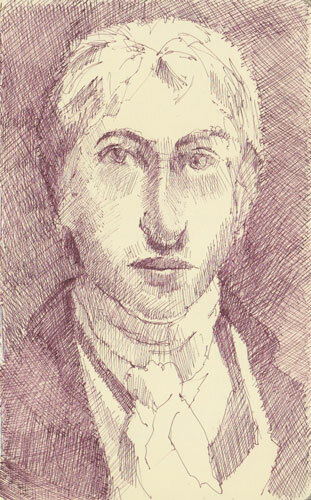 However, having got my sketchbook back I gave it "a treat" and sketched Turner's self-portrait which is on display in the Romantics Exhibition at Tate Britain. This was a very fast sketch in pen and ink as I can't stand for too long in one place. Then I discovered that was the last page in the sketchbook. Now how odd is that? Posted by Making A Mark on Wednesday, May 18, 2011 5 comments Who's linking to this post? I'd like to say a very big public "Thank You" to the staff at Tate Britain. 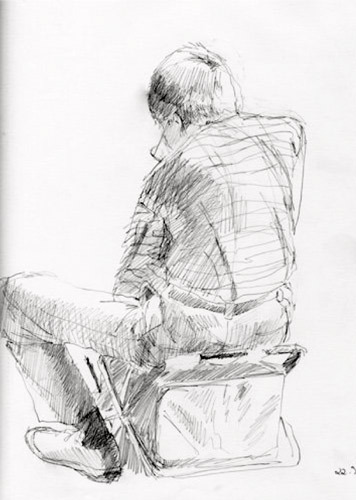 Tomorrow morning I'm off down to Millbank to retrieve my sketchbook which I lost there last Thursday. On Sunday I got to the bit in my "who's made a mark this week" about the the "Watercolour" exhibition and thought I'd just scan one of my sketches as a bit of a taster for my review of the exhibition which I had intended to do yesterday. This was the point at which I discovered that my black Moleskine Sketchbook was not where it should be in my backpack. After I had turned all my backpacks out, searched through various piles and rooted through all the unlikely places sketchbooks can get to, I came to the reluctant conclusion that I had lost it. Then I had to work out where! The obvious conclusion was I'd left it behind inadvertently at Tate Britain. I'd been using it all afternoon to do three sketches in the Watercolour exhibition - while at the same time making notes about the exhibition at the back. (All my sketchbooks work on the principle of images start from the front and notes start from the back and I move on to a new one when they meet up!) Which meant I had it in my hand when I walked out - straight into the exhibition shop area in the foyer. I think I must have left it at the till when I paid for my purchases. Many is the time I have people reminding me to take all my bits and pieces away with me! Anyway, after the initial panic on Sunday, yesterday I sent Tate Britain an email and explained that I thought I'd lost my sketchbook and described it. This morning I got a reply saying my email had been sent to the Lost Property People and this afternoon I got a very nice email from a chap called Peter Adams to say they'd got a sketchbook where the first page was Leadenhall Market and the last page was the Bell Tower in Venice (my sketch of the Arthur Melville painting "The Blue Night" in the exhibition) - at which point out I let out a very large whoop and nearly punched the screen of the iMac! I'm sure all other dedicated sketchers will know the feeling. The return of the prodigal sketchbook! I'm going to collect it tomorrow morning - and later tomorrow I will be posting my much delayed review of the exhibition. What really surprised me was just how just how devastated I felt having lost my Moleskine. It's one I now use for "quickies" because I mainly use the A4 size Moleskine to sketch in. Nevertheless I felt like I'd lost a bit of me. There was a hole which needed filling. It was the first thing I thought of when I woke up yesterday morning and this morning. Anyway - I'm going to be completing every last bit of the frontispiece of all my Moleskines in future. I normally include my name and a URL for one of my blogs. However in future it will also have a telephone number, an email address and a notice for a reward! Has anybody else ever lost a sketchbook? Posted by Making A Mark on Tuesday, May 17, 2011 16 comments Who's linking to this post? 15th May 2011 - Who's made a mark this week? Watercolour - Who's your favourite painter? 8th May 2011 - Who's made a mark this week? 1st May 2011: Who's made a mark this week?